We are a quiet voice and we want to get louder! Help keep us on track to open in 2020. Pauli's inspirational story is what the world needs now! We so appreciate your past support! We know you agree that more people need to know about Pauli Murray's commitment to building a just and loving world. We can all become more like Pauli and use our skills and talents together to create a society that embraces and upholds human rights for everyone. Isn't this something our world needs now more than ever? 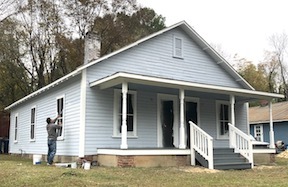 The Pauli Murray Center for History and Social Justice will open in 2020 as a national historic site. Our programs will engage people of all ages and all identities to advance Pauli's legacy of activism, education, creativity and spiritual practice. YOUR GIFT amplifies our efforts: PLEASE Turn Up The Volume on Pauli's Legacy. Our 2018 goal is $50,000 for programming and site improvements. We are already half way home. If you believe that American history presented to the public must include the stories of everyone, then support us! If you are dismayed that less then 2% of our National Parks, Monuments and Historic Sites are dedicated to women's history, less than 6% focus on African American history and less than 1% explore the stories of members of the LGBTQ community, then support us!We are committed to addressing this disparity by building an award winning national historic site focused on education, the arts and mobilization for social justice. 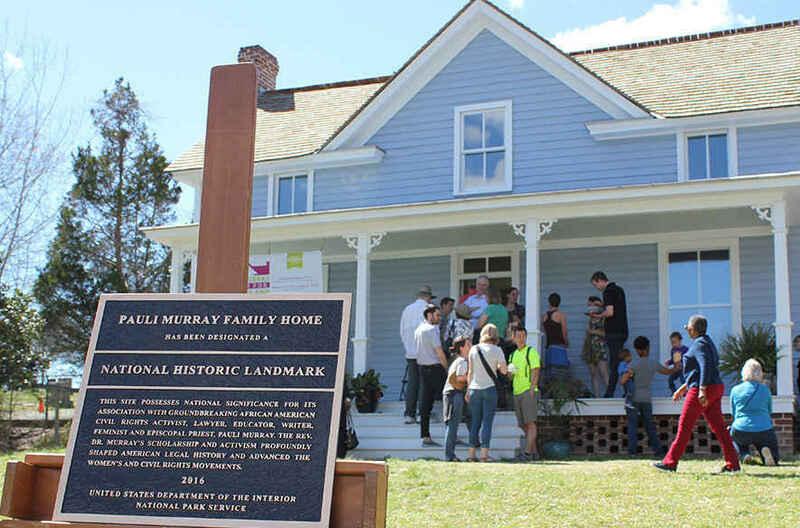 2018 was a banner year for spreading the word about Pauli Murray. Over 10,000 people saw our exhibit, Pauli Murray: Imp, Crusader, Dude, Priest while it was up in New York City. Our play, To Buy the Sun: The Challenge of Pauli Murray, toured nationally with nine performances in three cities for thousands of attendees. In addition to Pauli's childhood home, our site now includes this adjacent 1940s mill house. With your financial support, we abated the lead paint and gave it a much-needed facelift. In the future, it will be our Education-Welcome Center. 2019 is going to be a year of serious planning and building an operational organization consistent with Pauli's vision of equity and capable of sustaining itself for the long run. In honor of Jeremy Bates, a very fine man!